Among companies developing self-driving cars, Toyota is unusual in that it’s taking a two-pronged approach to the technology. The Japanese automaker is working on a system called Chauffeur takes over all driving duties. But it also has a system called Guardian that keeps human drivers in control most of the time. At CES 2019, Toyota explained how that is supposed to work. Toyota claims Guardian is based on the division of labor between human machine in fighter jets. In many modern jets, the pilot doesn’t directly fly, Toyota explained. Instead, the pilot’s control inputs are read by a flight control system that makes corrections to ensure safety. That’s the idea behind Guardian. Can Harley-Davidson’s electric LiveWire convince hog riders to go green? However, that functionality is much harder to achieve in a car than a fighter jet, according to Toyota. A car needs to constantly perceive and react to things around it, like pedestrians and other vehicles, the automaker noted. Adding more ambiguity is the fact that Toyota didn’t want a simple on/off switch between human and autonomous driving. Instead, human and machine are supposed to function as “teammates,” Toyota said. Toyota is focusing more resources on the development of Guardian than the fully autonomous Chauffeur system. Training such a system to perform properly in all real-world conditions could take a long time, Toyota Research Institute CEO Gill Pratt said in a statement. Gaining public acceptance of self-driving cars could take time as well, he noted. 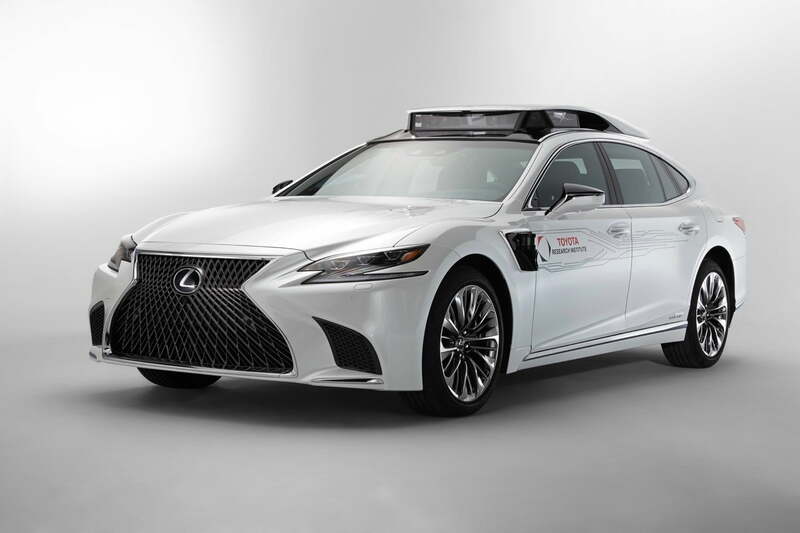 Toyota is currently testing both the Guardian and Chauffeur systems using modified LS sedans from its Lexus luxury brand. The automaker is partnering with Uber on a fleet of autonomous Sienna minivans, as part of a deal that includes a $500 million investment in the ridesharing company. But Toyota won’t say when autonomous-driving tech will make it into production cars. Guardian seems like the best of both worlds, providing the safety benefits of autonomous driving without the need for human drivers to give up the wheel. But it’s unclear whether that future will really come to pass. Toyota is also developing the e-Palette, a modular electric vehicle designed for ridesharing and delivery services. Essentially a box on wheels, the e-Palette was not designed to preserve the pleasure of driving.